Price has been marked down 30%!! These are from my grandmother's bead stash I inherited almost 20 years ago. I have sorted them into 1 ounce groupings, I estimate that there are more than 100 beads in each. 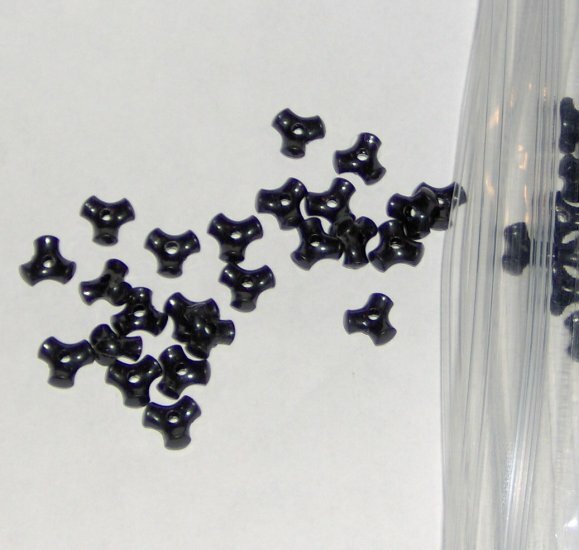 They are 1cmx3mm acrylic tripoint beads with a 2mm hole. I will ship via first class mail to anywhere.